Happy Cupcake Tuesday! I’m so excited you are here! Looking for a cupcake recipe? 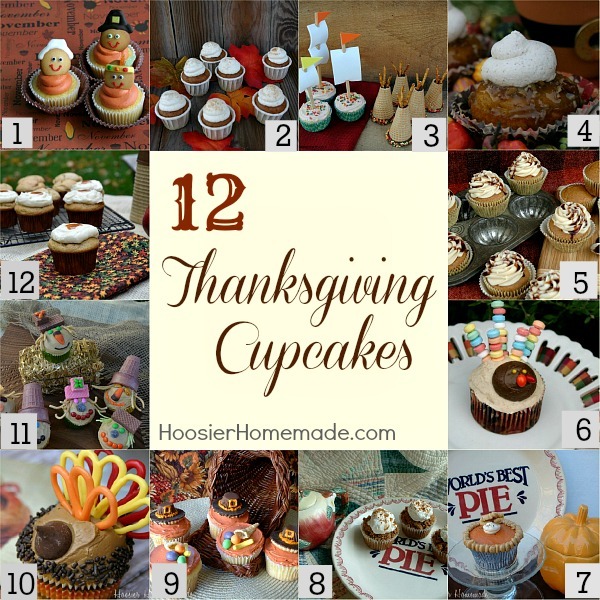 Be sure to check out the Cupcake Heaven page, there are over 200 cupcake recipes and decorating ideas! Only a couple days left until Thanksgiving, do you know what you are baking? 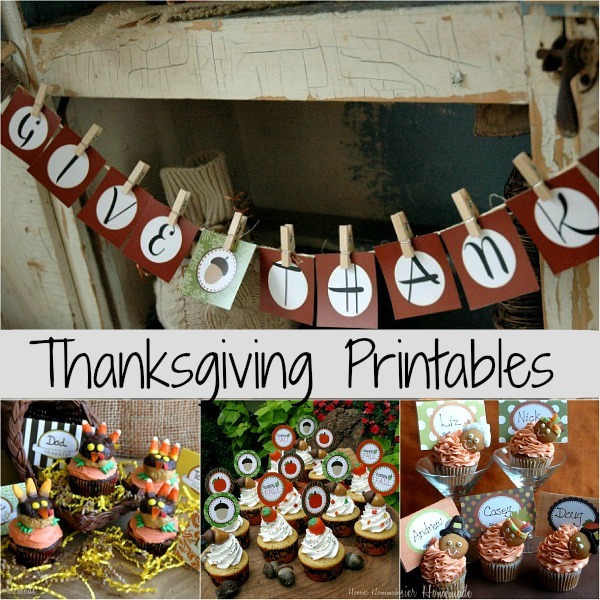 Well, just in case cupcakes are on your list and you need some ideas, I have put together 12 Thanksgiving Cupcakes and Thanksgiving Printables for you. The 3 printables on the bottom are available for free to Cupcake Chronicles Newsletter subscribers. The weekly newsletter is free and has exclusive cupcake decorating ideas, recipes and a monthly printable…read more about the newsletter! The cupcakes look great! and thanks for the Printables!